Mariola, its looks like one city or even country is too small to fulfill your interests… In the past you have spent time at numerous universities and research institutes: Princeton University, University of Illinois at Chicago, University of Modena and Reggio Emilia, Universitat Pompeu Fabra in Barcelona, Aarhus University, Danish Institute of Governmental Research in Copenhagen, KUB in Tilburg, and many others. Do you have a home at all, or are you a true nomad? (smile), well, I feel at home where my family and my children are. But yes, I have always been adventurous and liked travelling, seeing new places and meeting new people. But after more than twelve years of living in Denmark and other places, and after my first son was born, I started missing my childhood lands, my parents and friends. In connection with that, I’m very happy that I have the opportunity to work at CERGE-EI, which offers a fantastic research environment and at the same time gives me a chance to be back in my home country. I’m also lucky that my Danish fiancé is understanding in this respect and agreed to move to the Czech Republic. With time, we both feel the need to settle and give our kids a home. Your nature seems to match your strongest research topic – migration. How did you become interested in this topic? Indeed, perhaps due to my nature I became fascinated by the topic of human migration, when I first listened to a lecture on migration given by Jan van Ours at KUB Tilburg University, where I went for my Erasmus Exchange. This lecture influenced me so much that I chose migration as the topic of my MA dissertation. But migration is not your only research topic. You also write a lot about gender issues, wages and inequality. It is true that migration is not the only topic I am interested in, but in fact most of my publications deal with international migration. I have studied migration determinants, particularly those focused on the role of networks, language, climate change, anti-immigrant attitudes, welfare provisions, immigrants’ employment rights and political conflicts driving international migration. Further, I have analyzed the impacts of immigrant diasporas and ethnic diversity on firm outcomes such as productivity, innovation and foreign direct investment. Together with my co-authors, we analyzed the entire universe of firms in Denmark and their workforces over a long time period and we found that ethnic diversity plays an important role in propelling a firm’s innovation outcomes (as measured by their patenting activity). However, we find that workforce ethnic diversity causes either no or negative effects on a firm‘s total factor productivity (TFP) in Denmark. Hence, it seems as if the negative effects, arising from communication and integration costs connected to a more ethnically diverse workforce, counteract the positive effects from creativity and knowledge spillovers in terms of overall firm productivity. To turn ethnic diversity into a competitive advantage, we recommend firms invest in modern diversity management techniques. In addition to migration, I’m interested in studying determinants of the gender wage gap, in particular the roles of social norms, institutions (such as parental leave) and psychological factors in explaining differentials on the labor market by gender. I have also conducted analyses of drivers of income inequality and effects of foreign ownership of firms and minimum wage increases on wages and employment in the Czech Republic and Slovakia. 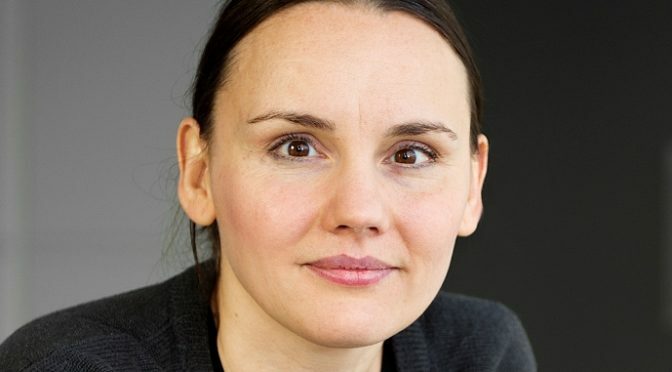 Last year you received the Kateřina Šmídková Award for the best female economist in the Czech Republic. I received the Award for my research and publications within the field of Labor Economics and International Migration. I was truly happy to become the first recipient of this Award, as I think it sends a very important signal. I think we females find it harder to compete in the academic environment, particularly in the period of life that involves caring for children. This is despite the fact that female researchers make important contributions to research and advance research frontiers. This year, the Kateřina Šmídková Award went to another CERGE-EI Researcher, Julia Chytilová. Last question: You are Czech, but I found it very interesting that you felt relieved when I told you this interview would be conducted in English. Why? What language do you consider to be your mother tongue, then? Hmm, a difficult question – I guess the Czech-Polish dialect? Then Czech, English, Danish and Polish equally. So, you are a true nomad, aren´t you?